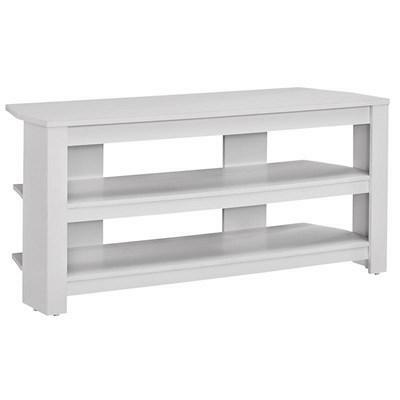 Ideal for small spaces, this corner TV stand from Monarch Specialties features two shelves, a smooth top and a chic white finish. 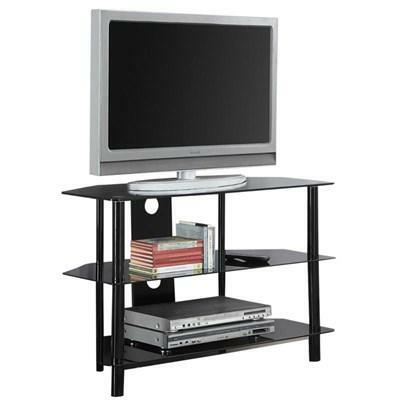 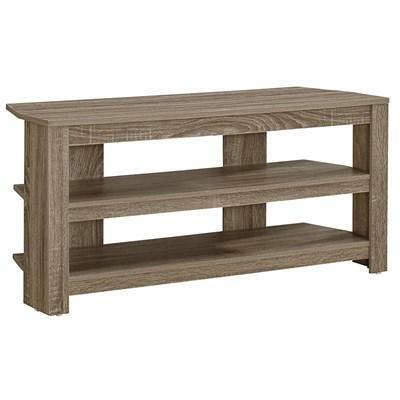 Made from wood and metal, this TV stand can accomodate up to a 40" flat panel TV. 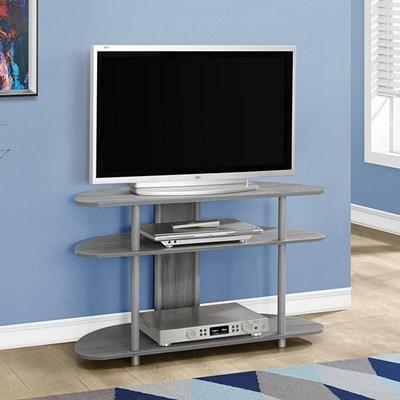 The I 2735 Tv Stand from Monarch features a bottom shelf, slanted legs and comes in a cappuccino finish. 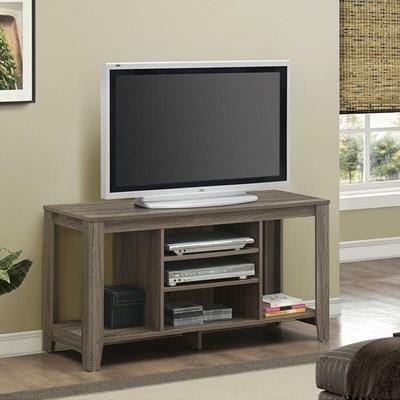 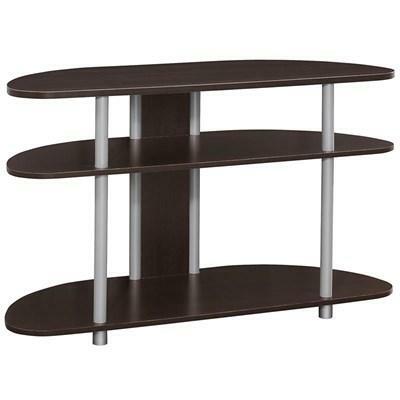 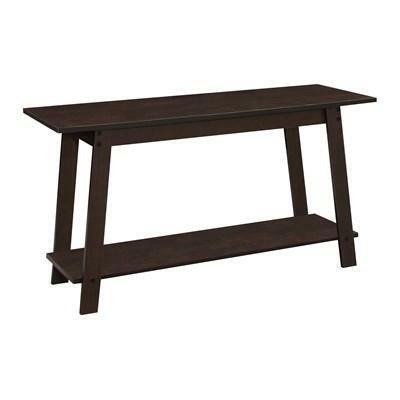 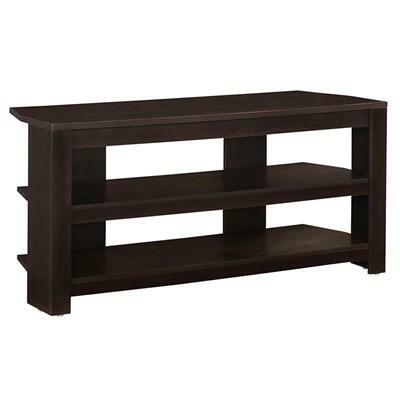 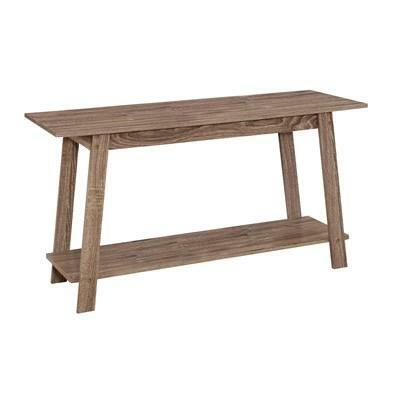 The I 2736 Tv Stand from Monarch features a bottom shelf, slanted legs and comes in a Dark Taupe finish. 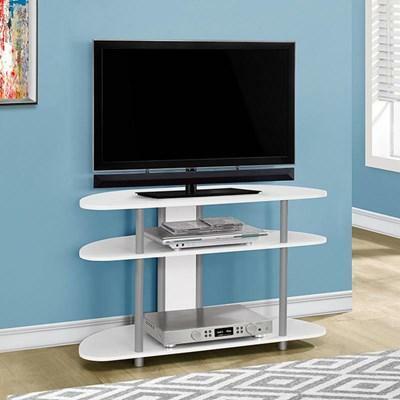 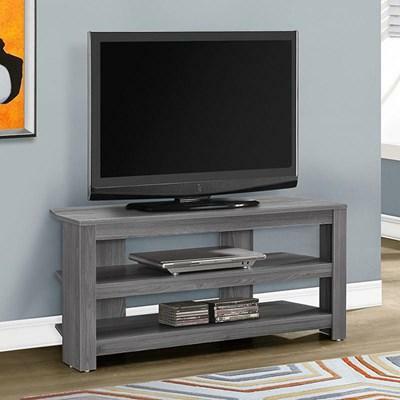 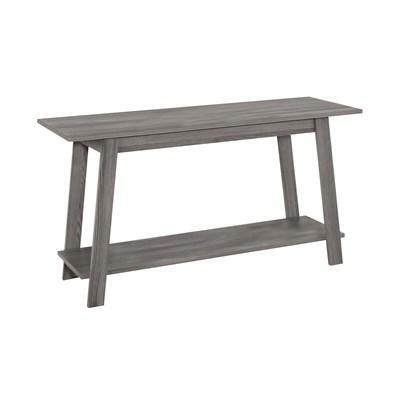 The I 2737 Tv Stand from Monarch features a bottom shelf, slanted legs and comes in a Grey finish.